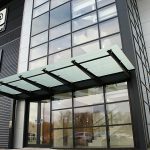 This premium canopy is the latest addition to our range and can be created in many different styles, from cantilever to freestanding. 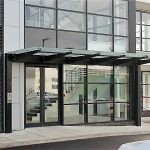 It’s made from galvanised and polyester powder coated steel and glazed with 13.5mm laminated glass that is fixed using satin stainless steel bolts. 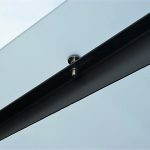 The use of bolts rather than glazing bars to fix the glass creates clean lines and large open areas of glazing. 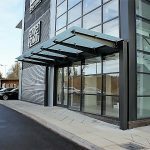 Suitable for any sector, this elegant modern canopy can be used to make a feature and provide shelter at an entrance, but can also be used for walkways and other purposes. 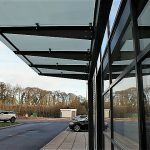 Generally these cantilever canopies are designed to be reverse pitch to allow the drainage to run into a gutter next to the building and to keep a sleek overall look. 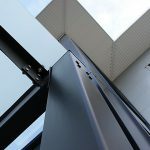 As well as blending seamlessly against a modern building this contemporary product can also be used on more traditional and historic buildings to clearly show the contrast and add interest to the transition from old to new. As a fast moving and growing business we are recruiting an Installation Operative. 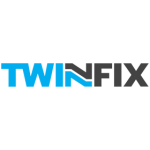 Twinfix has over 20 years’ experience of operating in the construction market, offering a wide range of polycarbonate glazed products with a focus on commercial canopies, covered walkways, glazed shelters and rooflights. We operate nationwide and in various sectors, ranging from education through to retail, industrial and rail. 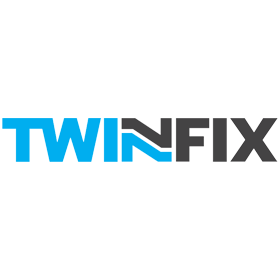 To work within an installation team to carry out installations of Twinfix products. This job description is not an exhaustive list of tasks. Additional activities will be required above and beyond those listed to carry out the role. Changes to the role will occur as the needs of the business change. 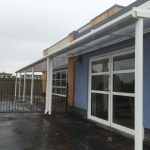 The Early Years section of the Gaer Primary School in Newport has recently benefited from two new additions – polycarbonate glazed, aluminium-framed outdoor canopies designed, manufactured and installed by us. Both 3 metres deep one has a 21.5 metre run while the other, which has a 10 metre run, includes a shallow section over an entrance door. 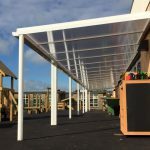 They are proving to be invaluable playing and learning spaces for the children – enabling them to enjoy being outside whatever the weather. 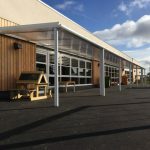 Aluminium is an ideal choice for a school canopy as it will keep its good looks for years to come. 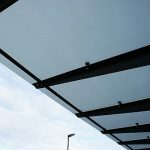 These structures were powder coated in satin finish RAL9910 white and were glazed with tough 25mm clear multiwall polycarbonate glazed into our Multi-Link roof glazing panels. These are classified as Non-Fragile to the recommended ACR[M]001:2014 drop test. Matching Twinfix aluminium rainwater goods were fitted to both canopies. These include downpipes that are close fitted to the supporting columns, making it virtually impossible for active children to climb up them! 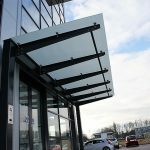 Working with BAM Construction Ltd and liaising with the NPS Architect we installed the canopies in two phases. 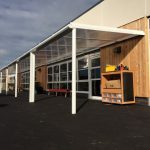 So pleased was everyone with the results that we are now fitting a further 30 metre long canopy adjacent to the new ASD building on site. 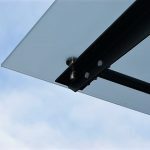 Have a look at our latest video for an overview of our roof glazing product range.